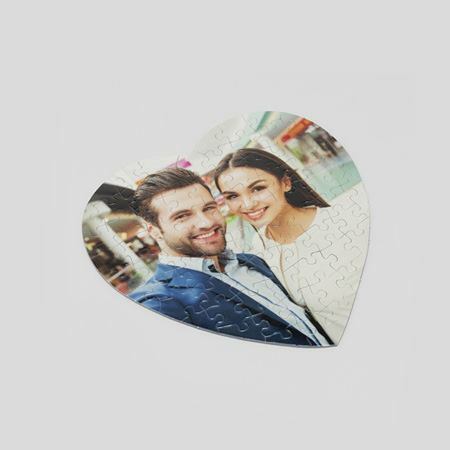 Show your love with a spectacular selection of handmade personalised Valentine's gifts. You don't need to shout it from the rooftops this year. At Bags of Love, we know that love is personal. 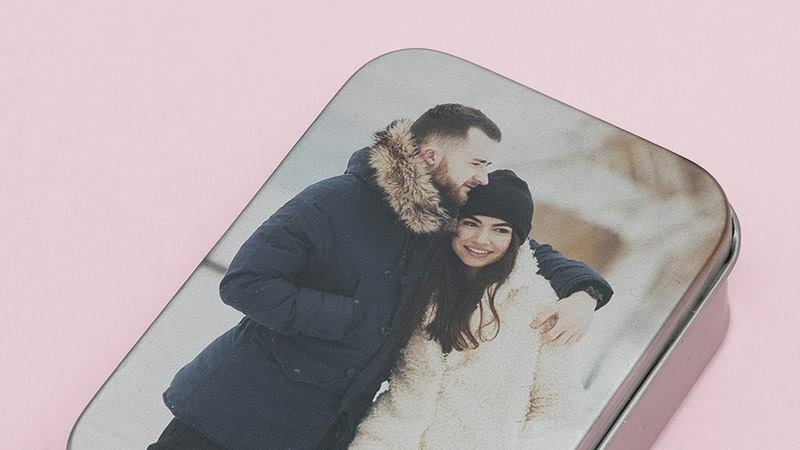 Show them how much they mean to you with personalised Valentine's Day gifts - designed by you, handmade by us. They say love isn't always on time, but, with next day delivery gifts, it can be. Show your lady (or man) what they mean to you, threefold, with a great range of three for two offers. Browse an assortment of hot picks for the apple of your eye. 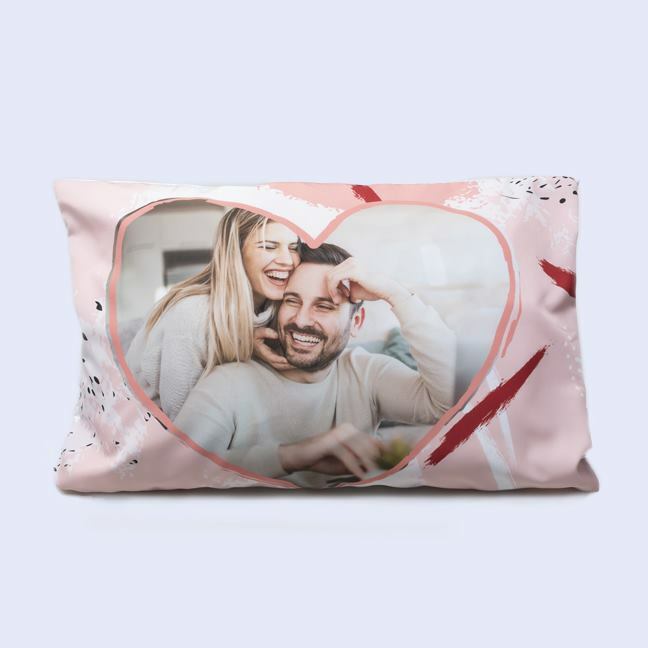 Express your love with gifts that last. Create truly personalised accessories that can be worn time after time. Whether your love is brand new and blossoming or in full flourish, say it with more than just flowers. Give them something that’ll never wilt, with our personalised bags and purses. Cuddle up on the sofa with your valentine and their new favourite mug. Catch a shooting star with personalised bedding. 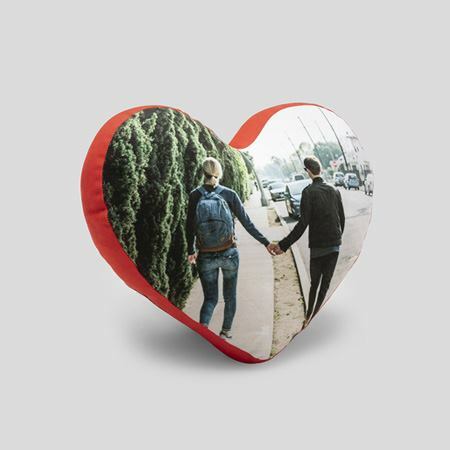 From pillowcases to complete sets, make your own romantic atmosphere. 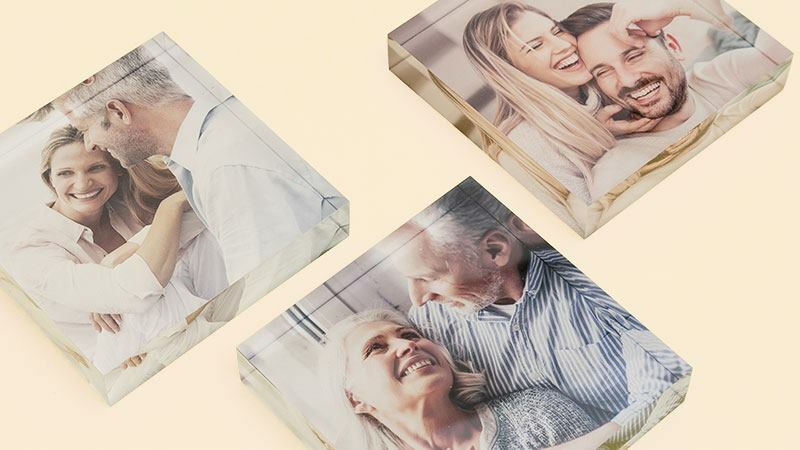 Use more than words and make your own romantic Valentine’s Day canvas with your favourite photos. 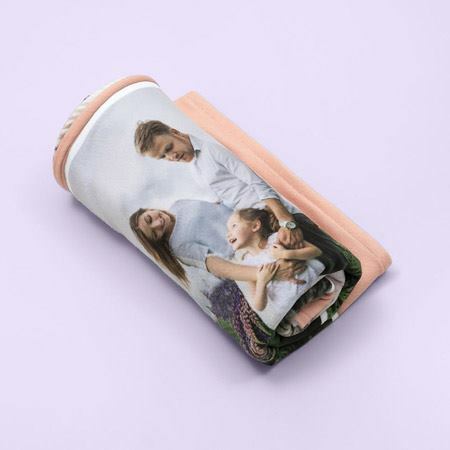 Make those shared moments even more magical, as you snuggle under a personalised blanket. Our popular leather keyring now comes in a heart shape too – perfect for your valentine. You’ve been with your partner for a long time now. Maybe there is more than one Valentine’s Day you have spent apart. This year, you want something lasting. 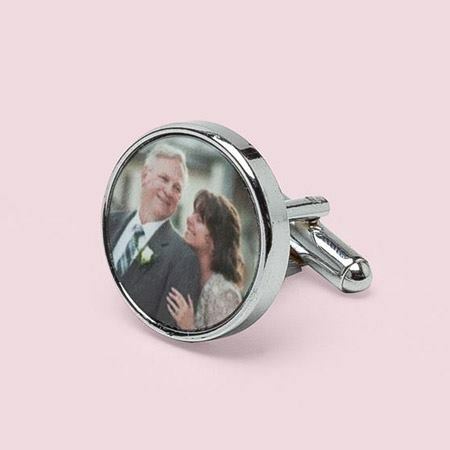 A small, significant gift that they can carry with them, to represent your love as well as the whole relationship. 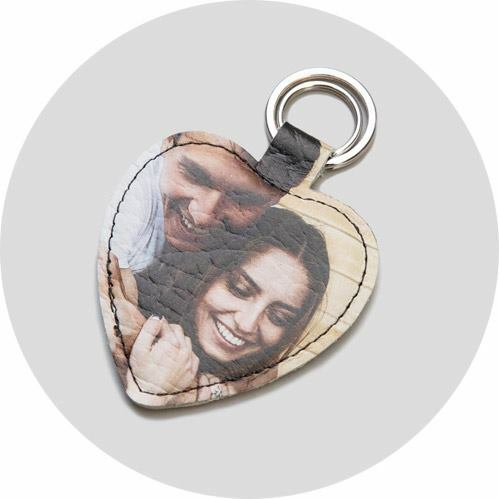 You see our personalised leather heart keyring. 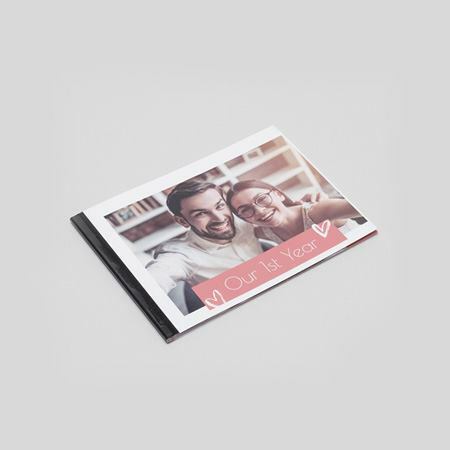 You choose an image that means a lot to you both; a simple picture of the two of you, your first date, first Christmas… You crop, position and manipulate the image in our design tool until you’re happy with it. 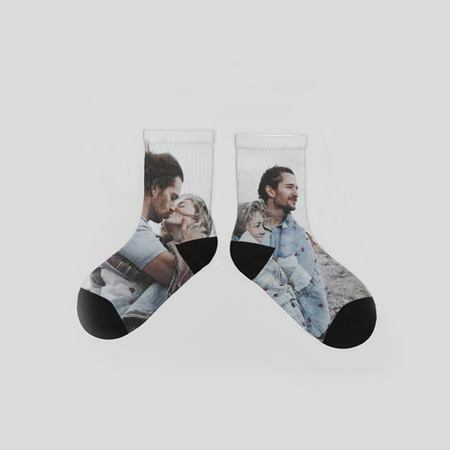 Now you have the perfect gift to symbolise how much you’ve both been through, still holding each other every chance you get.